This was a special long-term project that was a collaboration between our very creative and open minded clients and their wonderful Interior Designer, Michelle Lombardi. The clients allowed us a great deal of freedom to suggest special finishes and added touches we felt would suit their aesthetic and also delight them with a few small surprises. They were thrilled with the results. 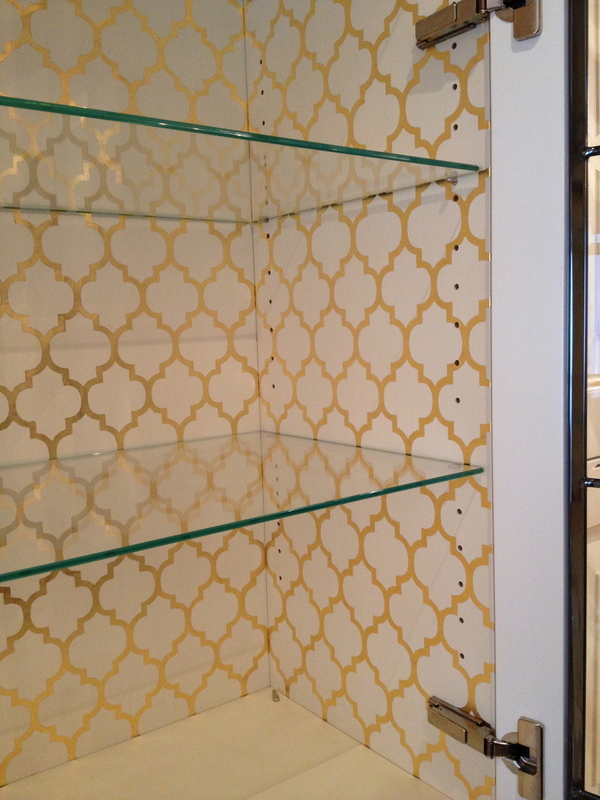 Applying 23.5 karat gold leaf to the cabinet details. 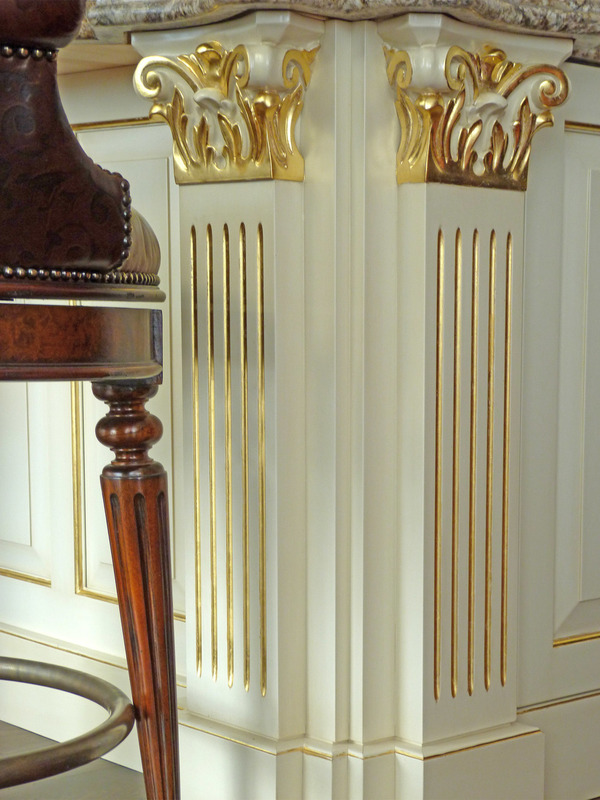 A custom designed imitation gold leaf medallion highlights the base of these pendant chandeliers. 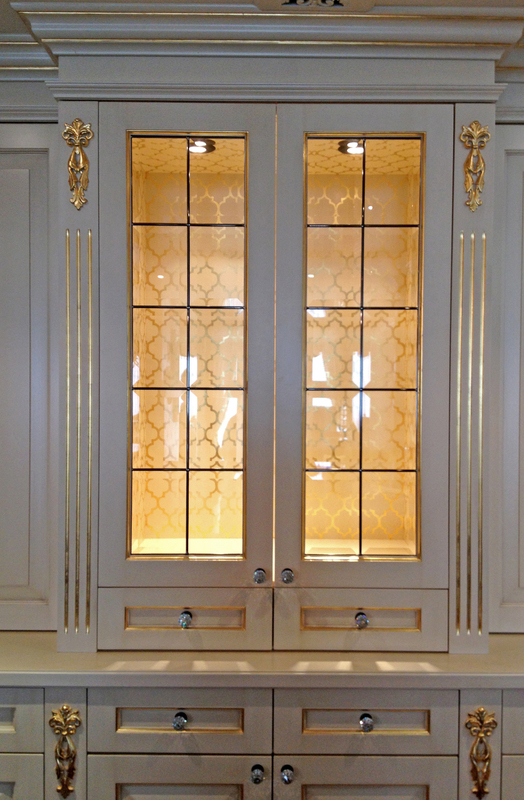 The interior of this cabinet was decorated with a custom pattern in 23.5 karat gold leaf. Imitation gold leaf in this ceiling niche adds a warm glow to this eating area. A custom hand painted ceiling medallion adds extra importance to this beautiful chandelier. Swarovski Crystals add that extra "bling" our client loves. Beautiful Moiré shimmer plaster adds a soft glow in the master bedroom. Another custom hand painted ceiling medallion with Swarovski crystals to add something extra special to this bedroom.